TUMI bags - duffels, cross-body bags, totes, and briefcases - are designed to be comfortable, ligthweight, and stylish. The pinnacle of luxury and innovation. TUMI’s exclusive, American-made carbon fiber CX6™ is dense, intricately woven and engineered by using a superior wet infusion process, adapted to bring high strength, low stretch and lightweight performance properties to your travel bags and accessories. 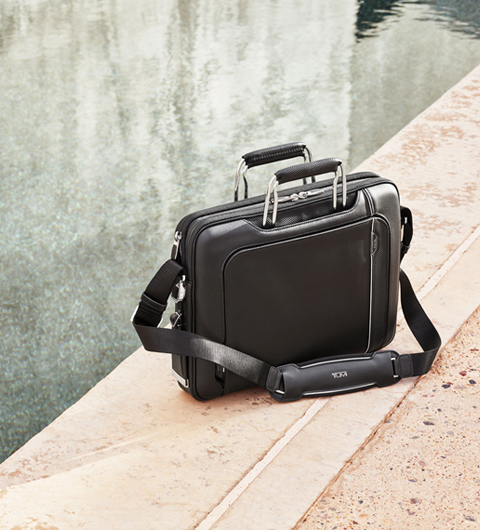 This expertly-crafted business brief is exceptionally durable, stylish and laptop friendly. Carry it by hand or across your body.